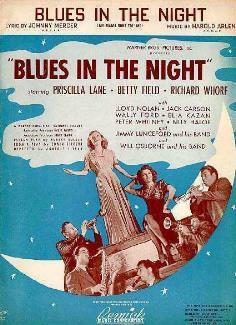 About Blues in the Night “Blues in the Night” was written in 1941 for the film of the same name by Harold Arlen and Johnny Mercer. Arlen wrote the music first and wrote a true blues song. Johnny Mercer, who later wrote the lyrics, drew on his southern heritage to write the exceptional blues lyrics. This song was recorded on October 21, 1957 and released in 1957 on the album The Beat of My Heart. “Blues in the Night” was recorded in May, 2001 and released that same year on Playin’ With My Friends: Bennett Sings The Blues. The vocals were arranged by Rob Mathes.